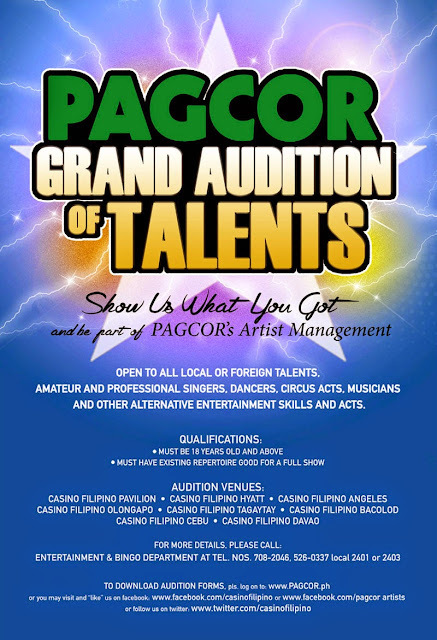 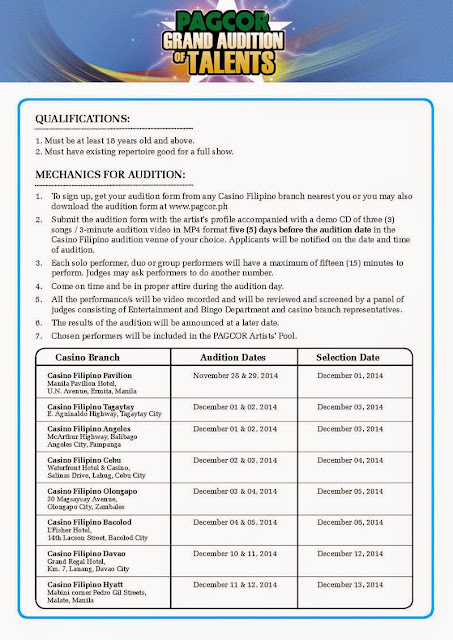 PAGCOR (Casino Filipino) will be having a grand audition to form a pool of talents for their Artist Managment group from November 28 to December 12, 2014 at various venues across the country. Please check the full details and mechanics on the poster. 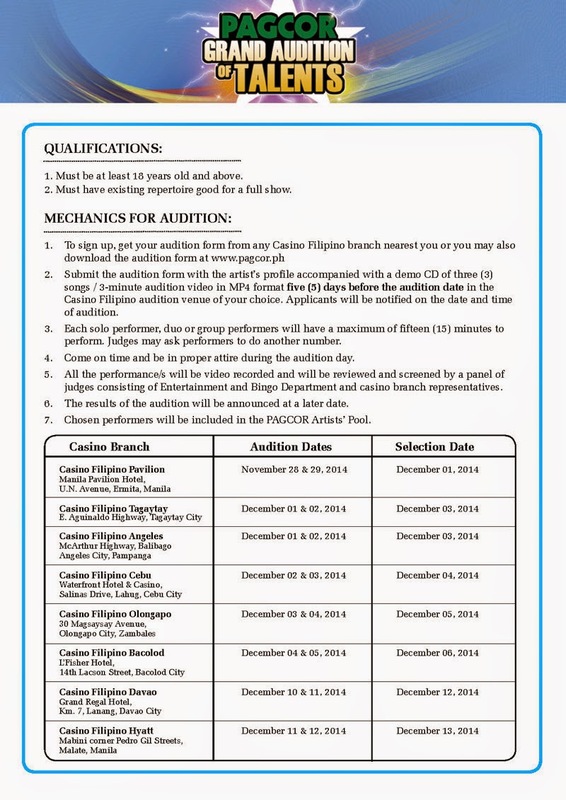 You may also download the registration form for solo and group performers here.